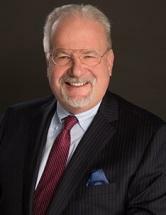 Steven W. Wells is a Principal Shareholder of Schnelz Wells, P.C. His main areas of practice for over 30 years have been in all aspects of corporate, commercial, employment and telecommunications law and related litigation. He was involved in the early stages of development of cellular, PCS, DAS Small Cells and cable television services throughout the Midwest, and he continues to represent one of the nation’s premier telecommunications providers in Michigan and Ohio. As a former Assistant Oakland County Prosecutor, Mr. Wells, as lead attorney, has extensive commercial, employment and real estate law experience before State and Federal courts as well as governmental agencies. He has also served for several years as a mediator, as well as conducting private mediation and arbitration. Mr. Wells received his Bachelor of Arts degree from Michigan State University and his Juris Doctorate degree from the Detroit College of Law. Steven W. Wells has been a leader in telecommunication regulation and transactions for more than three decades. His clients rely on him for prompt, cost effective and efficient counsel with the full spectrum of needs and challenges affecting the industry. He has been at the forefront of the deployment of wireless technology and deployment of a client’s wireless network in Michigan and Ohio and all related litigation. When the circumstances require, he has extensive administrative experience with Federal and State agencies. Steven W. Wells has had considerable experience in a wide variety of telecommunications areas ranging from rates and tariffs to the negotiation of cable television franchises. Included in this range are negotiating small cells/DAS agreements and regulatory ordinances; coordinating the development of licensing and leasing of towers; performing site acquisition, zoning and leasing services for towers and satellites; providing all other legal services covering the regulation, management or ownership of voice, video and data distribution systems; and handling related litigation. Mr. Wells has gained considerable technical knowledge to complement his legal expertise in cellular, PCS, paging, cable television and long distance service offerings. Steven W. Wells has provided his clients with innovative approaches that have achieved excellent results in a wide range of litigation matters. For over three decades, he has collaborated with his clients to reach the results they want. Mr. Wells has won cases in some of the nation’s most challenging jurisdictions by utilizing effective case management skills and technology to achieve desired results. Steven W. Wells represents clients in all aspects of real estate development, transactions and litigation by providing experienced and practical advice to help clients achieve their business goals. For more than three decades, he has provided Fortune 500 clients, banks, commercial real estate companies and small businesses with prompt, cost effective and efficient legal services. He represents his clients before municipalities, State, Federal and regional agencies with respect to land use, zoning, variance and government agency permitting. He is familiar with state and local requirements and procedures in all municipalities throughout Michigan and Ohio.